Delivery: Led via webinar by a LENSES Faculty Member with in-person viewing opportunities hosted by local LENSES Facilitators. Group activities and Q&A. Differentiate between a regenerative approach and a net positive, sustainable, or green approach. Describe how to structure design practice and processes from a regenerative mindset. Describe the basic application of the LENSES Framework and how it can inform process design and improve project outcomes. The LENSES (Living Environments in Natural, Social and Economic Systems) Framework is a regenerative development process and facilitation framework that augments existing design and sustainability practices. Built on the principles of healthy living systems, the LENSES Framework offers teams a fun and thought-provoking way to discover hidden potential, expand their definitions of success, and realize the benefits of regenerative design and development. In this course, participants will deepen their understanding of regenerative design and development and of the five key concepts of regenerative practice: working in whole systems, accounting for uniqueness, being of service, focusing on potential, and aligning with nature. Participants will learn the core process and the design intent behind each of the three lenses and how they work together as a whole. 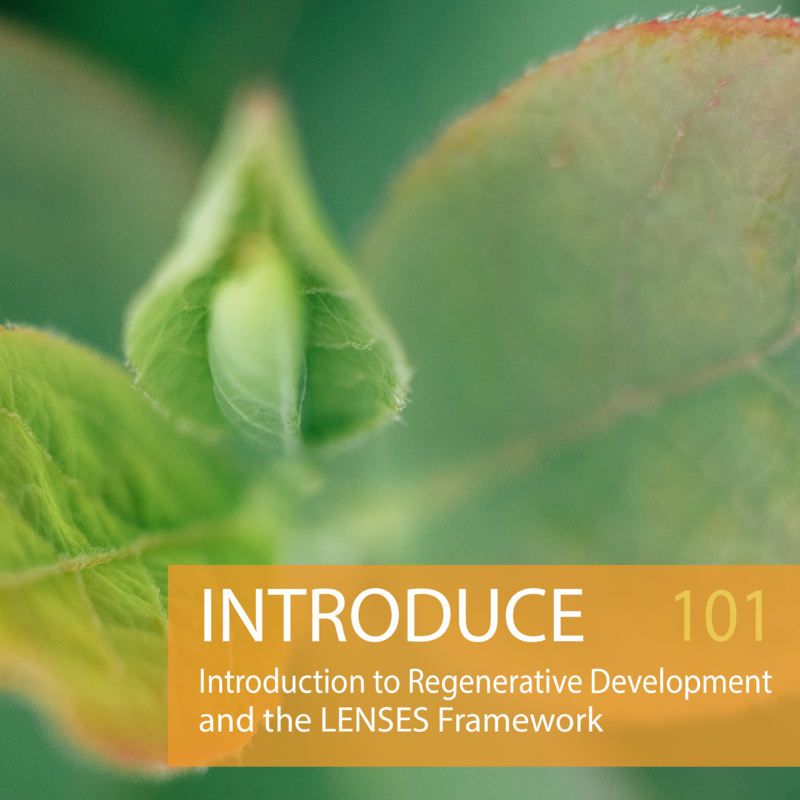 Participants will see how LENSES can be applied within the context of the design process as a way to encourage and support regenerative project outcomes.